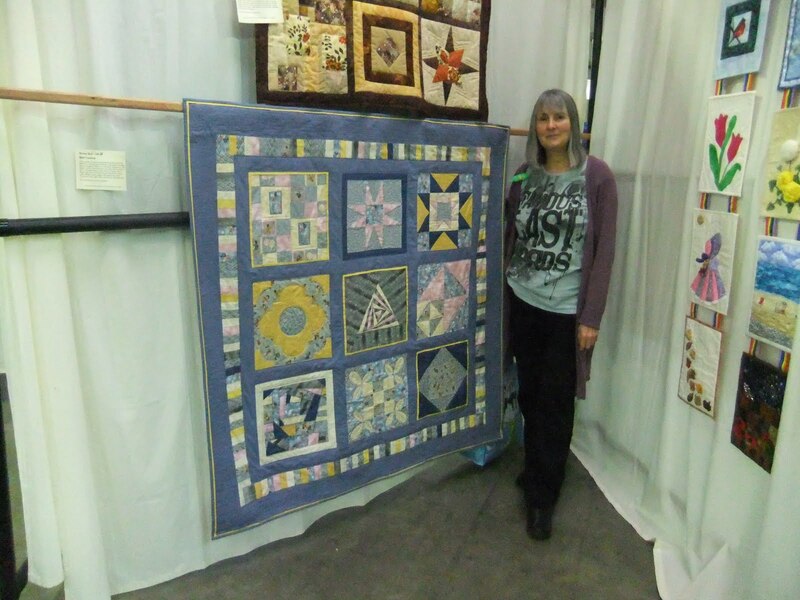 Well Travelled at the Great Northern Quilt Show 2011 - Three of us from the group had completed our quilts - I'm not sure about the legalities of showing other people's work on here, so I won't! 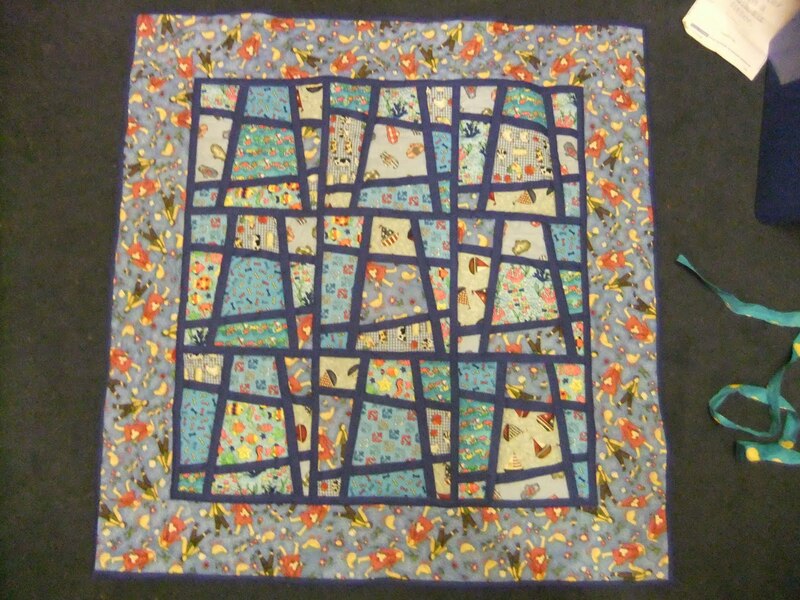 This is now complete and ready to be a charity quilt to be donated to the Forget-Me-Not Trust, a local children's charity. 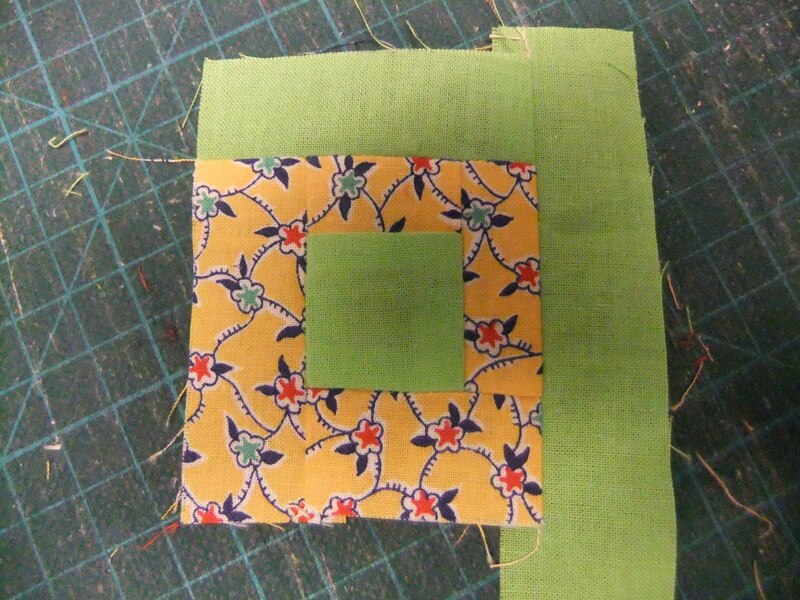 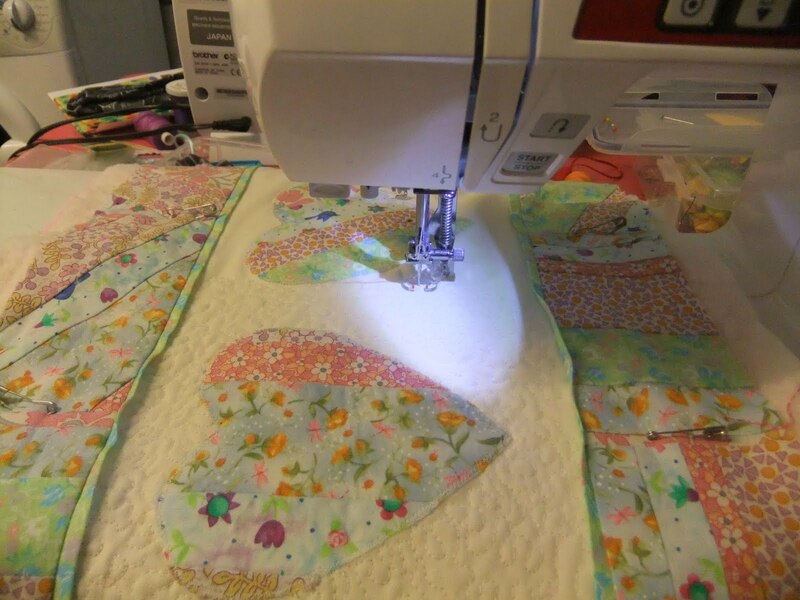 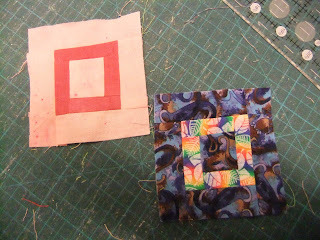 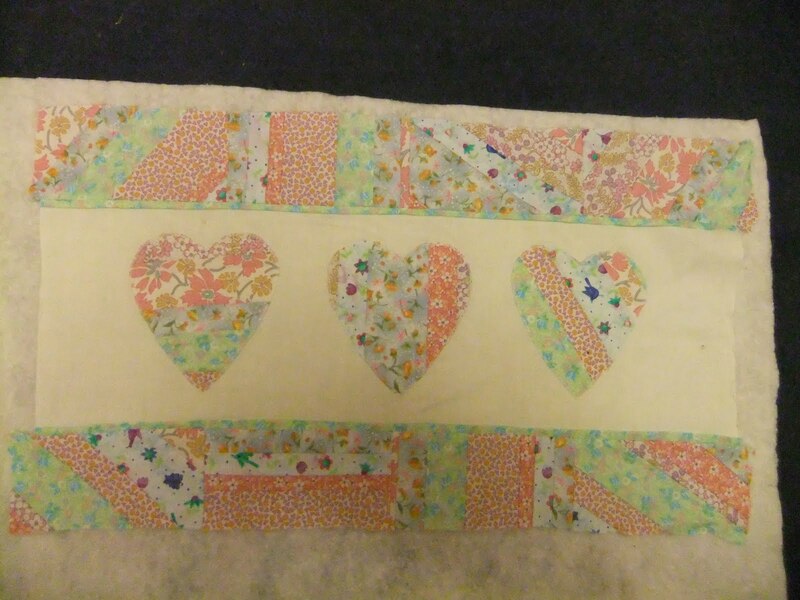 The start of a small quilt which will have log cabins and flying geese to teach my two students some different techniques. H and S have made a good start on their project! 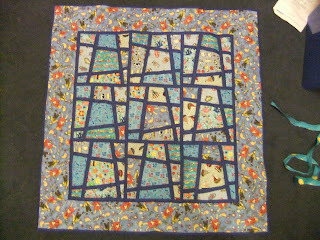 ...and here is a log cabin quilt I made for Tom using blue fabric. 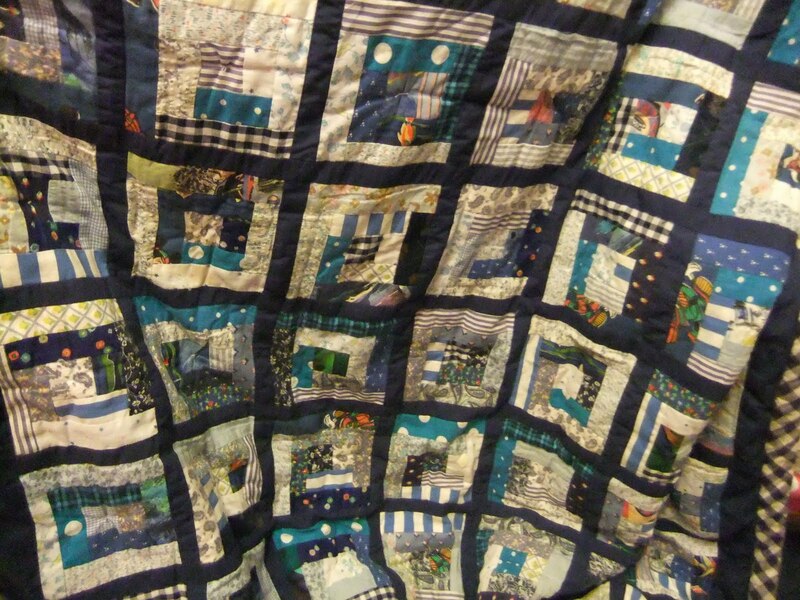 It is the first real bed quilt that I made - probably about 10 years ago. 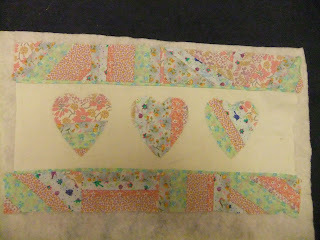 The fabrics used are ones that I made his clothes from and some Laura Ashley too. It is wadded with polyester and tied. ..... and now is the time to finish it!